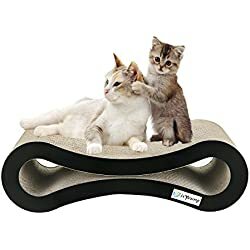 It’s a cat scratcher! It’s a cat lounge! It’s a…cat scratcher lounge! 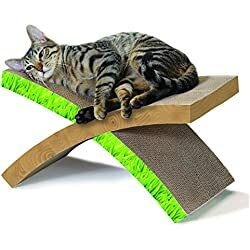 Let your special cat multitask with a cat scratcher that’s also a lounge. 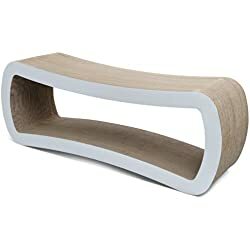 It’s a popular combo with cats and their people, allowing kitty to scratch their claws and relax all with the same piece of combined cat furniture. 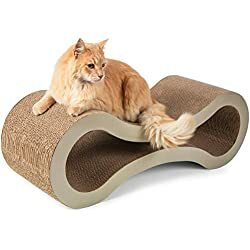 Why are cat scratcher lounges popular? The scratcher part gives Kitty an acceptable place to satisfy its natural urge to scratch its claws. The lounge part gives your cat a comfy place to lounge, nap, and generally loll around. 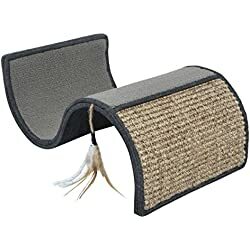 When you combine the scratcher with the lounge, you cut down the need for two items for your cat to just one (and, with a little luck, double your cat’s enjoyment and satisfaction). Cats love to scratch. Giving them a scratcher/lounge is a good way to help direct their scratching behavior. 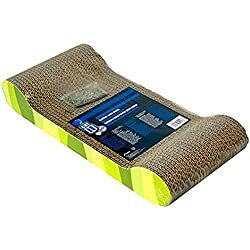 Below are cat scratcher lounges for sale on Amazon and eBay. To mark their territory. 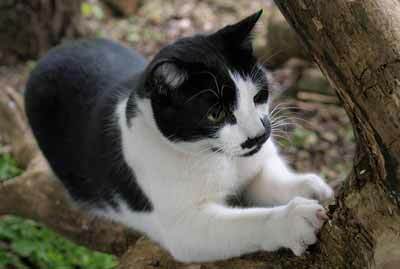 Scratching not only leaves a visible sign to other cats, it leaves a scent. Cat paws have scent glands in them that release pheromones as they scratch. These pheromones (special chemicals filled with different kinds of information) act as a scent marker to tell other cats they’re in someone else’s territory. To help slough the dead outer layer of their claws. If you’ve ever taken a close look at your cat’s scratching post you may have found little claw-shaped semi-circles of the old layer of your cat’s claws embedded in it (which is normal, by the way). To stretch. If you’ve watched a cat scratch you know the activity is often part scratching and part stretching. A good stretch feels good to our cats just like it does to us. To burn off a little bit of energy. Some cats don’t just scratch, they scratch with a burst of crazy energy. A scratcher lounge gives them an acceptable place to blow off a bit of steam. They like to scratch. Whether cats like to scratch only because of the above reasons or there are more no one really knows. But anyone who watches a cat dig in for a good, satisfying scratching session can tell they really enjoy it. So, for cats, scratching is a normal, natural, behavior. If they target the sofa, chair, or other piece of furniture we don’t want all scratched up, they really aren’t doing it to drive us nuts (or to intentionally damage our furniture). They’re just doing what comes naturally, and giving them a more desirable place to do it – like a cat scratcher lounge – can often go a long way to keep them happy and satisfied, and our human furniture un-scratched. How big is it? Scratcher lounges for cats come in all sizes. Some are about the right size to hold one average-sized cat (or kitten), while others will hold two cats, or one large one. Size also matters for location in your home: Will it fit nicely into the area you have planned for it? What is it made of? Many scratcher lounges are made of corrugated cardboard, but that’s not a given. 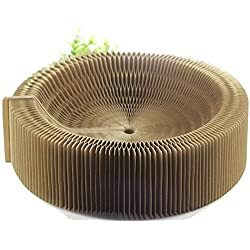 Corrugated cardboard is popular because it’s affordable, reasonably durable, and doesn’t snag a cat’s claws the way some carpet scratchers might. Cats also seem to enjoy the feel of it, both for scratching and for lounging on. Read the reviews! Both Amazon and eBay have customer reviews on many of their products and these reviews can often provide good insight into whether or not an item you’re interested in is actually the right item for you. The reviews often give information the official product description doesn’t, and can be extremely helpful in helping you make the right purchase for your cat and you. 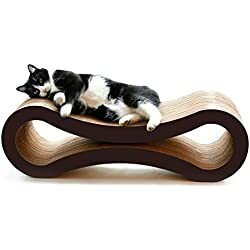 Where is the cat scratcher lounge located, and how long will it take to arrive after it has been shipped? While many items on both Amazon and eBay are located here in the USA, some of them might be shipped from a different country, like China. Depending on where it’s shipped from, and how much time you have before you need it to arrive, you may not want to wait for long shipping times. Are shipping charges included in the price or will they be extra? Does the seller accept returns? If so, how much time do you have to return it? Will there be a restocking fee (often not, but some sellers do require a restocking fee)? 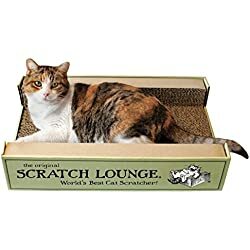 Who pays for the return shipping on the scratcher lounge (hint: it’s usually you)? 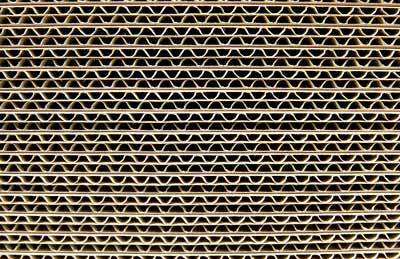 A closeup look at corrugated cardboard. Many cats seem to enjoy the feel of corrugated cardboard both for scratching their claws and for lounging on.